John preached his first sermon in Bowlegs, Oklahoma. He was doing the music with Ron Dunn. (In those days at OBU, Ron was called Ronnie and John was Johnny). Ron got sick, and John had to step in and preach. While John was an incredible musician, he was a phenomenal preacher. When John preached, you could sense the power and hand of God on His life. 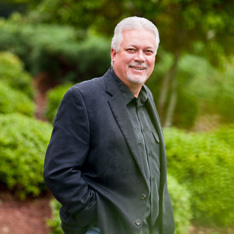 John Bisagno was a catalyst leader during the days of the Jesus Movement. His willingness to follow the Spirit and embrace what God was doing among young people, hippies, and drug addicts revolutionized First Baptist Church of Houston, Texas. In a year, I believe they baptized over 1,500 people. John, probably more than any other Southern Baptist pastor, embraced the move of the Spirit in that season of revival. He was a risk taker like few I’ve ever met. He wasn’t afraid to try anything if it would help him reach people for Christ. I can’t remember exactly when I met John for the first time. It was sometime in the late 1970s. I was a youth pastor and was impressed by his “larger than life” style of ministry and preaching. In the 1980s he came to Roswell Street Baptist Church, where I was youth pastor, and did a four-day meeting. John and I connected that day, and it was the beginning of a glorious relationship. When I went to Ada, Oklahoma, to be pastor in 1987, he came to preach a meeting for me as well as a one-night rally. My first year at Sherwood, he preached a four-day meeting for me. He later came back and preached an Easter Sunday for us. That day, we had nearly 70 professions of faith. While I was in Ada, I had declined an invitation from Sherwood several times and thought I was there to stay long-term. One day (in fact, this week 29 years ago), John called me and asked me to preach for him at FBC Houston. I had never preached in a church that size. I had never received that kind of invitation. John also asked if I would prayerfully consider coming to Houston to be his preaching associate. I did preach for him. He treated Terri and me like we were somebody, when we knew we were in way over our heads. Telling him I didn’t feel it was God’s will to come as his preaching associate was the hardest “no I’ve ever given anyone. A few weeks later, Manley Beasley came to preach in Ada, and that night God released me from Ada. A few weeks later, Sherwood called again. John will forever be a part of that story, that chapter in my life. There are so many stories about John. I had the privilege of being his chauffer when he was in Oklahoma preaching. I spent two days carrying him back and forth from the hotel to the venue and to the airport. I was a sponge. He was a blessing. I took him to dinner one night to meet with some other pastors. He and Ron Dunn were the keynote speakers. All of the rest were big name preachers in Oklahoma. I was going to leave, but John invited me to stay and then proceeded to introduce me to the men and asked me to join him at the head of the table with Ron. John never made a younger pastor feel inferior or unwelcome. He was always gracious, kind, and loving. It was the first time I ever remember being invited to sit at the big kids’ table. I will cherish my memories of John. I shared a few funny ones with the Sherwood church family Sunday night. I cherish the wisdom. I cherish the grace. I loved his passion. I wanted him to be the President of the International Mission Board when Keith Parks resigned. It wasn’t meant to be. But no one in our history as a denomination did more, gave more, served more, or loved foreign missions more than John Bisagno. He was as comfortable in a mud hut as he was on the platform preaching to ten thousand people. John was a prolific writer. He was the best fundraiser I’ve ever met. He taught hundreds of churches how to raise funds and pay off debt. If I were to recommend several of his books that should be in a pastor’s library, they would include The Power of Positive Praying, The Power of Positive Preaching to the Lost, The Power of Positive Living, The Power of Positive Preaching to the Saved, Letters to Timothy, Pastors Handbook, and Life Without Compromise. John was never president of the Southern Baptist Convention, though he should have been. Sometimes denominational politics overlooks the obvious person who has the hand of God on them. John wasn’t slick or polished. He didn’t jockey for positions. He was just John. He nominated one of our SBC Presidents in New Orleans several years ago. Ron Dunn and I were sitting together. We both looked at each other and said basically the same thing, “That’s the most anointed, empowered nomination I’ve ever heard in my life.” God was all over John. That moment was a pivotal point in the Conservative Resurgence. I believe John’s nomination won the day. Saved at Falls Creek. Called of God to just be a preacher. Never met a stranger. Loved to see people saved. Built a mega church. Traveled the world. Loved his wife beyond measure. Exalted Jesus at every opportunity. Wrote practical books on ministry that will last for generations. That’s a partial list. The eternal list of changed lives because of John’s obedience to His Lord and Savior is a lot longer. He ran his race. He finished the course. Well done, John. Thank you for sharing the personal recollections. I share your admiration and respect for John. As I posted the announcement of his death, I wrote that another pastor and I, out of the blue, contacted him for a visit. I was doing a Bible study at his church near Houston and we had some free time. Another Houston larger church pastor whom we contacted never got back with us. John called us on his cell phone from somewhere on a Houston freeway about an hour after we called. “Sure, I’ll see you tomorrow,” he said. When we arrived at this office, his secretary told us he was with another appointment but he was taking us to lunch. Lunch with one of your heroes! Yes! He took us to his favorite Italian place, ate spaghetti and asked US all the questions. He made us feel like megachurch pastors and he really didn’t even know us. I told him that I think one of the best sermons I ever heard preached and surely the best on the subject was his message on the sin again the Holy Spirit. So powerful! Later I had him preach at my church one night. Again, I was struck with his powerful preaching and humble spirit. 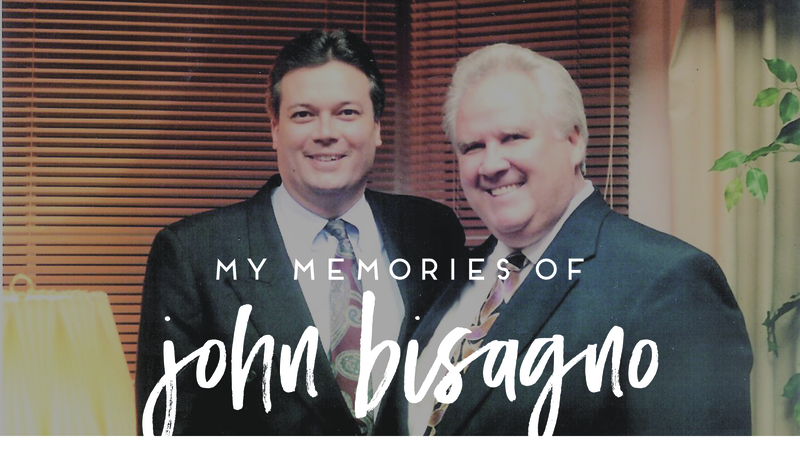 John Bisagno wasn’t just a preacher- he was a great pastor as well. I wish some younger pastors who wish to be church CEO’s would get that. He was truly a “great souled” man. Hi. I wanted to tell you what a blessing the films you back are. I had a swollen left foot for three weeks and couldn’t even keep a shoe on because of the pain. I think God used it to slow me down because I HATE sitting still. I went to the library after I went to the doctor because I wanted to get some movies. I found Fireproof and grabbed it. I really liked it and when my check came, I got some other Christian movies. Right now, I am watching War Room. It inspired me to start my own war room. So thank you for doing what you do. It’s so much appreciated. I have been looking at things in my own heart as a result. And learning a lot. Thank God plantar fasciitis!